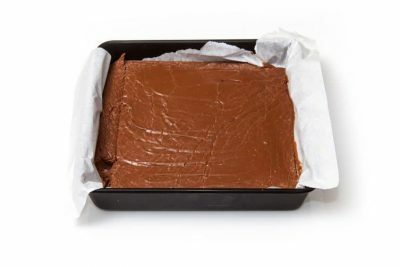 Microwave fudge as good as Grandma's without the muss and fuss! My Great Grandma made the BEST fudge in the world. As, I’m sure, you’d say yours did :). My Great Grandma’s fudge was made entirely on the stovetop, employing huge amounts of butter and marshmallow fluff. We loved Christmas when we knew GG would make up a batch or two; she always included a batch without nuts (I HATE nuts in my fudge) just for me. It was heaven! Fudge and homemade peanut butter cups are what make my Christmases. This 2-minute microwave fudge recipe is as good as Great Grandma’s. For real. I would rather have Great Grandma’s any day of the week if it was delivered by her, don’t mistake. 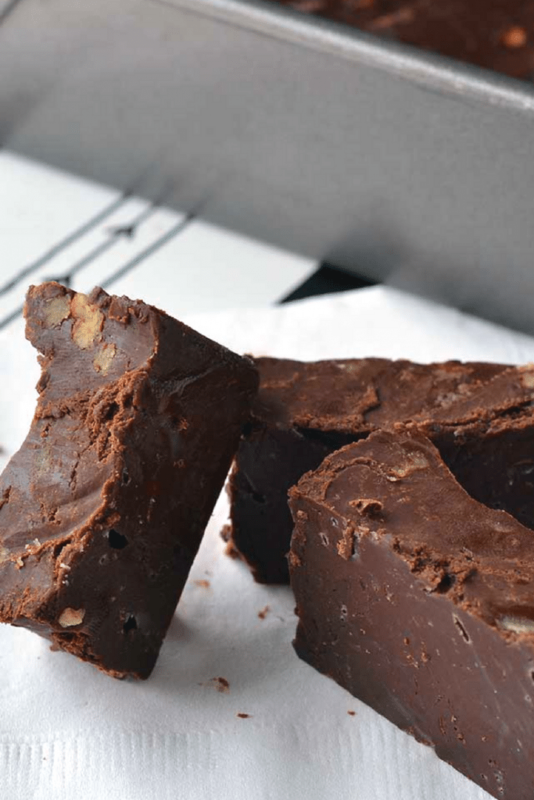 But flavor-wise…this microwave fudge recipe can’t be beat! It’s the microwave fudge recipe I use year after year during the holidays. 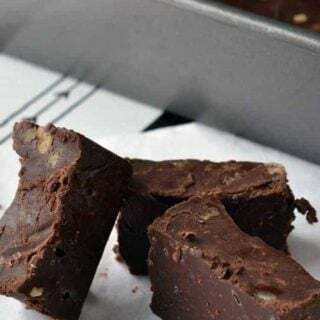 We made a quick-and-easy step-by-step video that shows the process of making this great microwave fudge! Check it out below and see just how simple this recipe really is – sure to be a new favorite! Start out by simply adding 3 ingredients (which is all of them) into one microwave safe bowl. No mess, no pile of dishes to clean up! Super easy, right? Melt in 30-second intervals in the microwave. (Careful not to burn yourself!) Mix it up and mix in your add-ins. Pour into wax-lined or greased 8 x 8 pan. Cool in the fridge for 2-4 hours, then cut. That’s it! This fudge is so good, it’s hard to believe it’s just made in a microwave. Give it a try! This may the only fudge recipe you’ll ever use again ;) My Great Grandma would be so proud! Don’t forget to tell stories about your own Grandma’s homemade fudge recipe and make the original recipe sometimes with your kids. Be sure to write that recipe down on a keepsake card or find other ways to cherish a kitchen memory about someone you love. Remember…we’re about collecting memories, not stuff! Share this recipe with your friends and family this holiday season. Put ingredients in a large microwave bowl. 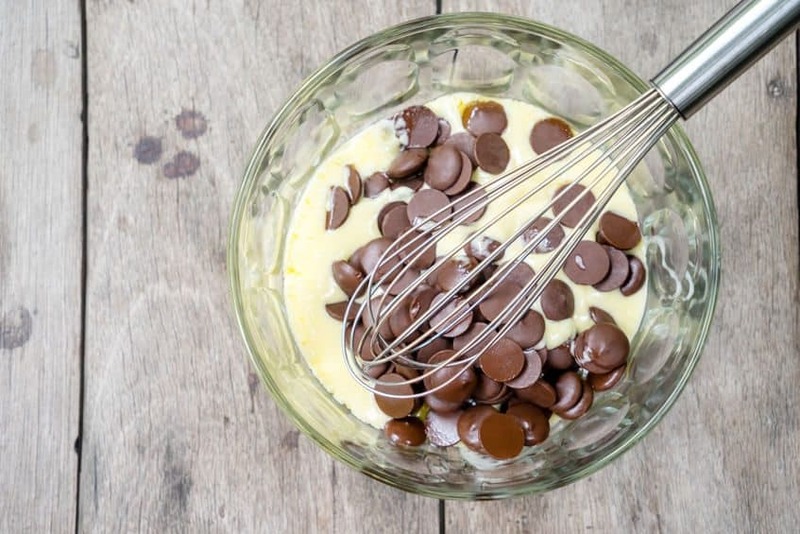 Be sure to cut the butter into smaller sections so it melts as quickly as the chocolate. Cook it up in the microwave until it's melted, stirring every 30 seconds or so. 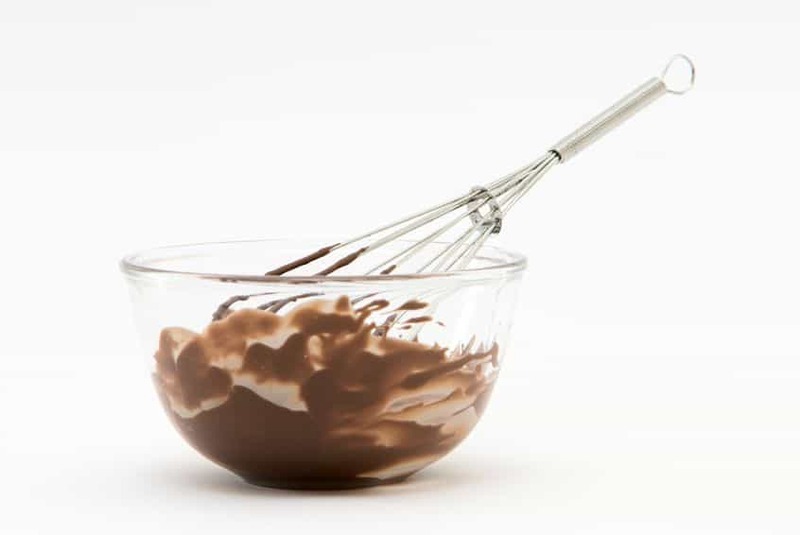 The amount of time this takes can vary, so watch for your chocolate to be smooth. Stir in your add-ins. We used pecans, but any number of add-ins are great! Pour into a wax-paper-lined or greased 8 by 8 pan. Cool 2 to 4 hours in the fridge. I recommend storing your cooled and cut fudge in an airtight container, in a dark and dry location. Keeping your fudge in the fridge may dry it out. I love how simple this recipe is and my husband will surely love that you can do it all in the microwave :). Haven’t made fudge before, but now I’m inspired to try!